GST Penalties - Penalties for offences under section 122 of CGST Act 2017. 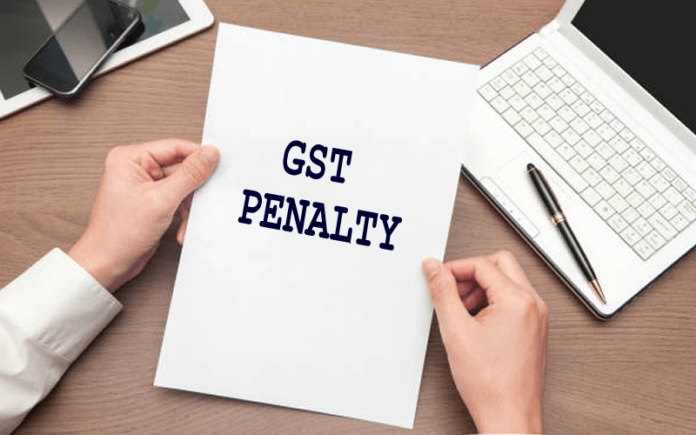 Penalties for offences under section 122 of CGST Act 2017. Fails to issue invoice or issued wrong invoice for a supply. Fails to pay tax collected for a period exceeding 3 months. Collects any tax in contravention and fails to pay to government. Fails to collect TCS or fails to pay to government. Fails to deduct TDS or fails to pay to government. Availing input tax credit without receipt of any goods or services. Fraudulently obtains refund of tax. Getting input tax credit illegally from a distributor. Furnishing wrong information, financial records, etc. while filing with the intention to evade tax. Furnishing incorrect information at the time of registration. Failing to send required documents while transporting goods. Suppress the actual turnover which results in tax evasion. Failing to maintain documents or books of accounts as prescribed. Fails to furnish information asked by an officer during any proceeding. Supplying goods which need to be confiscated. Issuing invoice using registration number of other person. For above offences penalty of Rs 10000 or amount involved whichever is higher. for reason of fraud or any wilful misstatement or suppression of facts to evade tax, shall be liable to a penalty equal to Rs 10000 or the tax due from such person, whichever is higher. shall be liable to a penalty which may extend to Rs 25000. Penalties for offences under section 125 of CGST Act 2017. Any person, who contravenes any of the provisions of this Act or any rules made thereunder for which no penalty is separately provided for in this Act, shall be liable to a penalty which may extend to Rs 25000. I want to know about penalty of GST in late return fillup.